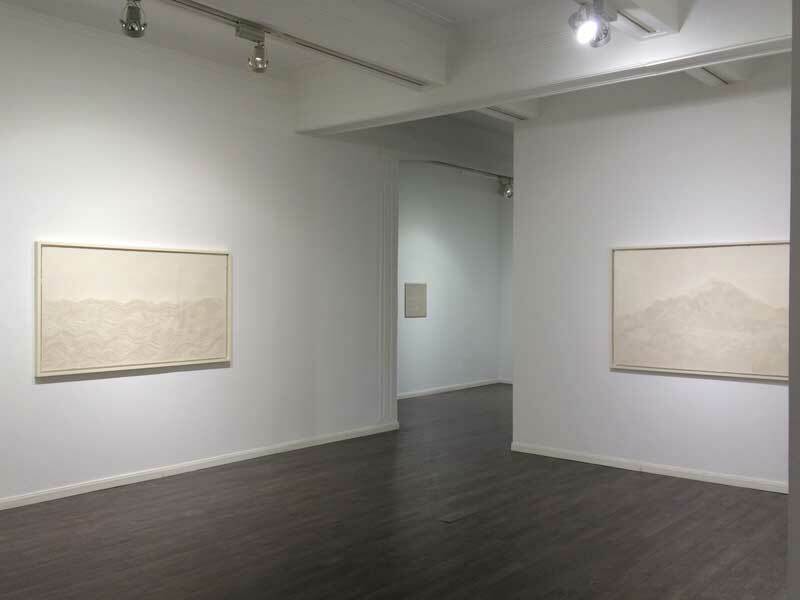 The last exhibition presented by AroundSpace Gallery in 2015 returns to the subject matter of landscape and minimalism. Landscape painting always carries more significance and symbolism beyond itself, in both Eastern and Western art. Chinese literati artists consider Shan Shui, traditional Chinese ink painting, depicting nature and scenery, as a way to reveal their personal thoughts and feelings; Western artists use landscape painting, a category second only to historic and religious painting in academic art, as a window to show their progress in examining and exploring the outside world. 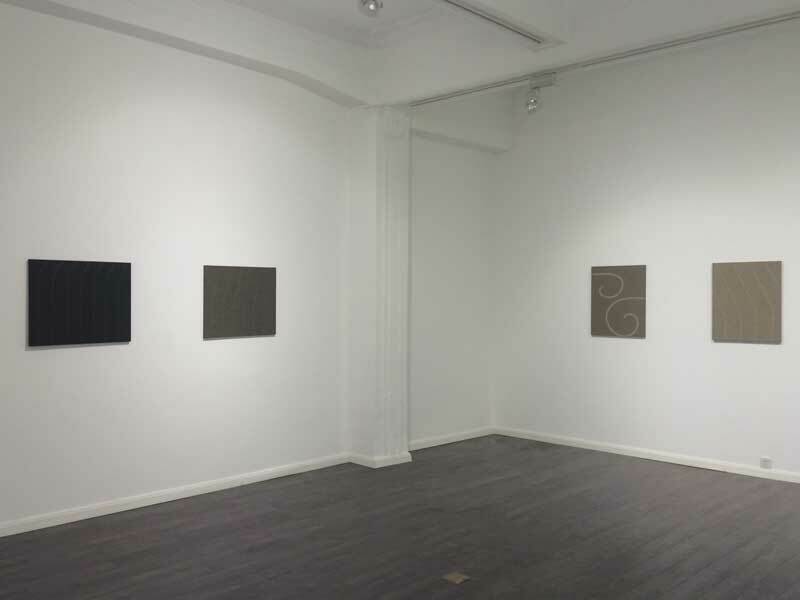 Three artists presented here, employ the simplest color and approach to create a monochromatic landscape. Fu Xiaotong's austere works consist of a wealth of underlying meanings; her use of rice paper pays homage to this traditional Chinese art medium and also reinvents its characteristics; her abandoning ink and color automatically endures a minimalist style; and her process of piercing hundreds of thousands holes on the paper reminds us of the methodology of contemporary performance art and conceptual art. Zhou Hao's art leaves a vast space for the audience to exercise their imagination. Graduated from Musashino Art University and surrounded by Japan's art scene for many years, he has a unique experience with abstract art. His painting is abstract, but also has endless variations and delicate details. Different from the clear-cut lines and colors in geometric abstract artwork, the misty color left on canvas by Zhou's effective brushstrokes reveals the artist's vulnerable emotions. 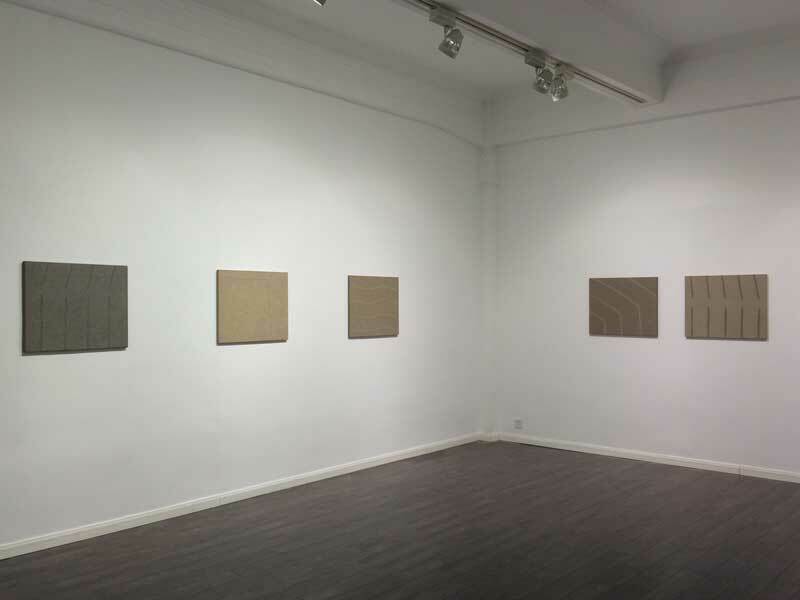 Xia Yang's work is distinctively made of paper threads. 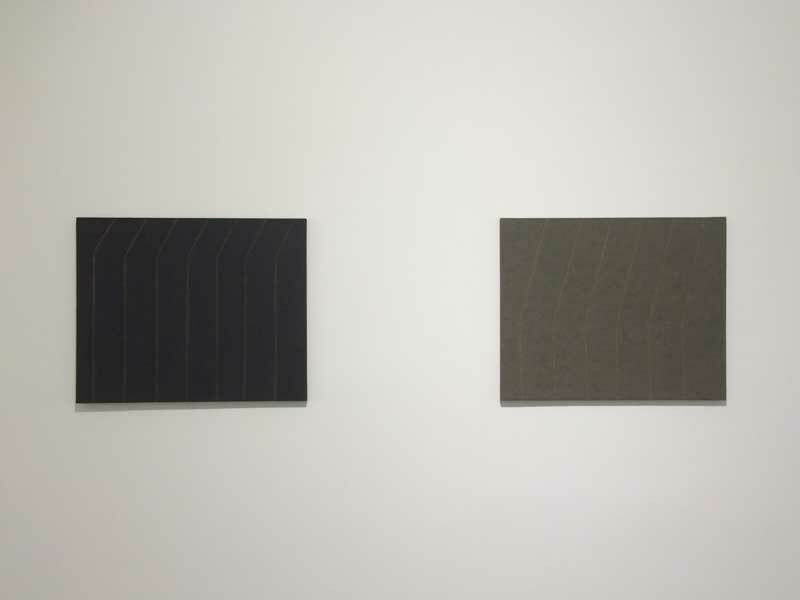 Trained as a sculptor, Xia enriches his work with texture and bas-relief quality even on two-dimensional surface. The accumulation of one simple element gives his art a taste of Zen practice. 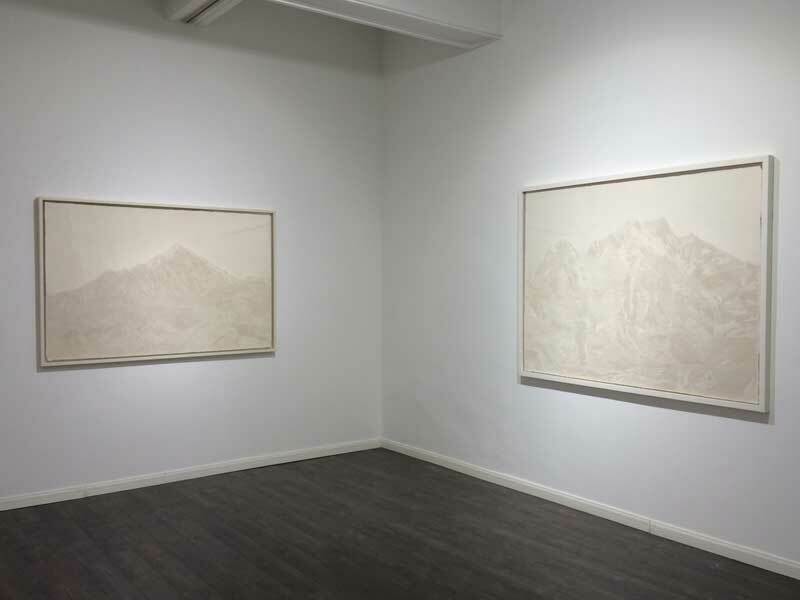 Whether traditional Chinese Shan Shui or classic Western abstract art, the three artists inherit the legacy, evolve on their way of exploring and expressing nature and landscape, and finally achieve an unadorned style. 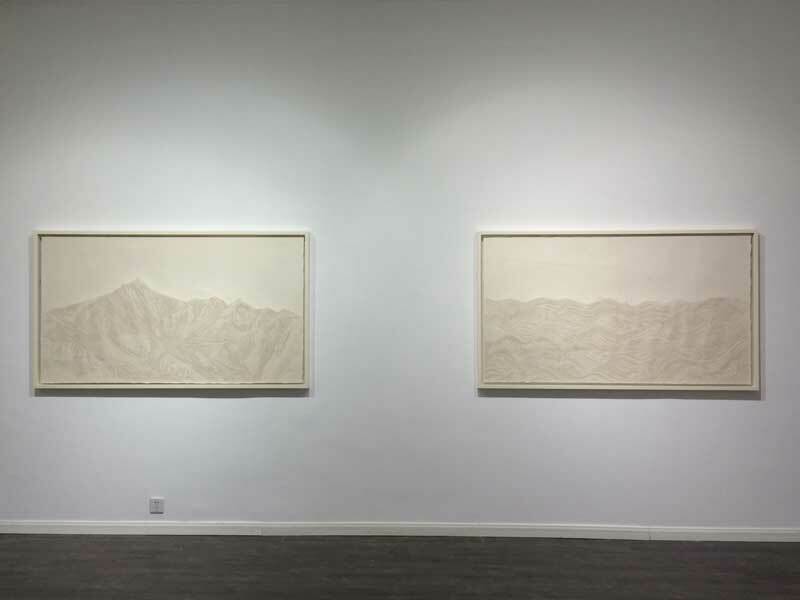 The Monochrome Landscape is captured on paper, on canvas, and in frames, but more importantly, it indicates the efforts underneath the surface, and the persistence the artists hold in their quest for art.